Amniotic membrane, or amnion is the innermost layer of the placenta that surrounds the baby in the womb. 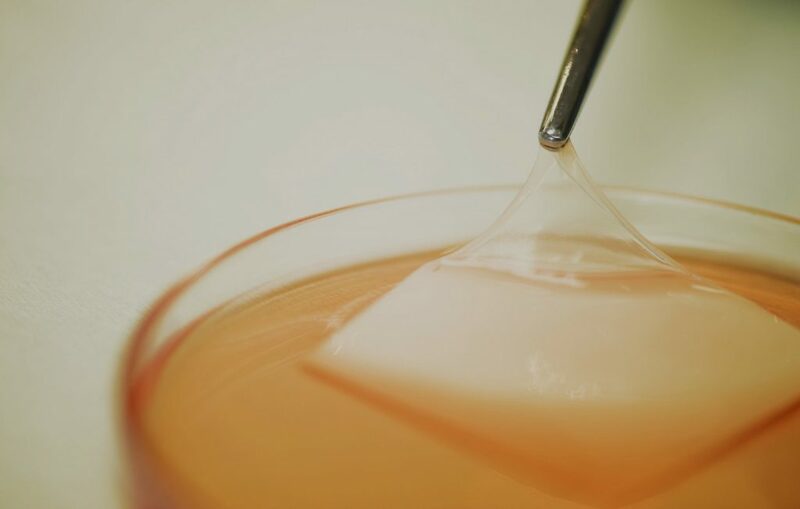 This human placental membrane has been used since the early 1900’s in various surgical procedures as a biological dressing – it aids healing and acts as a substrate (foundation material) for soft tissue regrowth. Next Biosciences produces a Human Amniotic membrane biological product called AmnioMatrix. Amniotic membrane is widely used in eye surgery as a bandage to heal or replace damaged eye tissue. It is thin, lightweight, elastic and almost transparent making it suitable for use on the surface of the eye. It is used to treat chemical burns, ulcers of the cornea or conjunctiva and during surgical procedures where eye tissue has to be excised. Amniotic membrane products have been successfully used in many surgical procedures in South Africa. The amniotic membrane has a strong basement membrane that has an epithelial layer with a sub-adjacent avascular stromal layer. 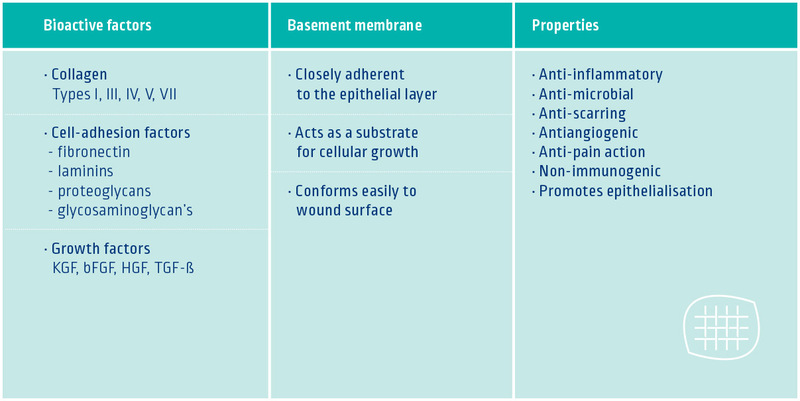 The epithelial cells assist in producing bioactive factors that aid in the healing process, whilst the basement membrane serves as a substrate for cellular growth, hence it is considered a potent facilitator in wound healing. AmnioMatrix is used in a surgical setting and can be attached to the surgical site with sutures or tissue glue. Dehydrated AmnioMatrix is a dry amniotic membrane that has had the epithelial layer of cells removed. 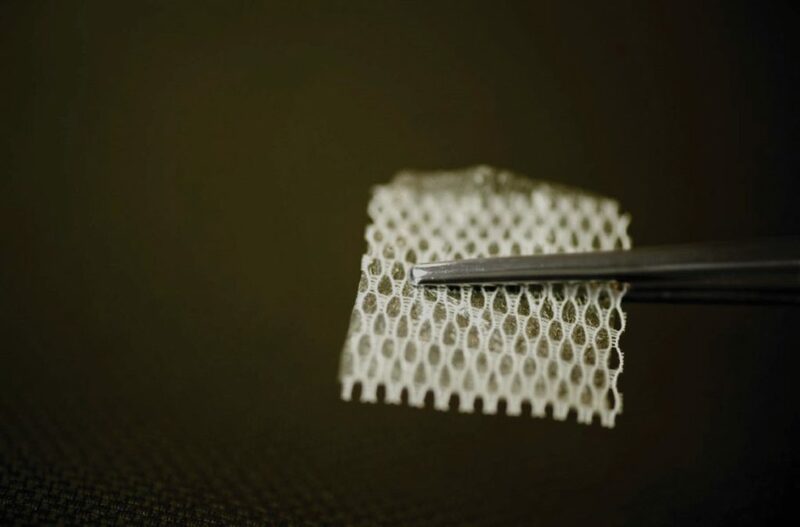 This membrane acts as a scaffold onto which new cells can grow once it has been placed on the wound. As it is dry, it is packaged and stored conveniently at room temperature. Frozen AmnioMatrix is fresh amniotic membrane that is processed and stored frozen at -800C. With this method the epithelial layer of cells is retained as well as the important biological factors and mediators.